The Baker family connects with the Man family on the marriage of Sarah Baker to John Man on 5 June 1775. John’s father in law, William Baker, was a schoolmaster who on his retirement handed the school over to John. William married Jane Cox on 31 March 1789 at St. Mary, Reading. William’s death notice in the Reading Mercury. William’s burial is recorded as having taken place on 27 February 1789 at St. Mary, Minster Street, Reading. Baker, William – a learned Printer was born in 1742; died in 1785 – he wrote ‘Peregrinations of the Mind, through the most general and interesting subjects which are usually agitated by Life, by the Rationalist; a new edition with a Life of the Author’, London 1811. This work can be read HERE in PDF (285 pages). Also, ‘Theses Graecae et Latinae Selectae’ 1780, 1783. A selection from Greek and Latin authors which can be read HERE in PDF. A similar notice appeared in ‘Nugae chirurgicae’ as follows: BAKER, JOHN. Master of the Apothecaries Company 1822. He was the second son of Mr. William Baker (a man of amiable character and manners, of great classical and mathematical learning, and more than 40 years master of an academy at Reading), and younger brother of Mr. William Baker, a learned printer of London, author of ” Peregrinations of the Mind,” &c. (of whom see Nichols’s “Literary Anecdotes,” vol. III. p. 716.) John Baker was born at Reading, 1748, and being destined to the practice of medicine, was apprenticed to an Apothecary in Salisbury Square, whom he succeeded in business in 1773, which he carried on with great respectability for 30 years. He retired from business in 1803, and is now resident at Hampstead. Also found the death notice in the Annual Register of 1846 of John’s daughter, Eliza: At Little Ealing, after a long illness, in her 62nd year, Eliza, wife of John Bowyer Nichols, esq., F. S. A. of Parliament-street. Eldest daughter of John Baker, esq., of Salisbury-square, and Hampstead. Jan. 14. At Everton Cottage, Park Hill, Clapham, in her 67th year, Miss Sarah-Anne Baker, the younger daughter of the late John Baker, esq. of Hampstead, and formerly Master of the Apothecaries’ Company, and sister to the Rev. William Lake Baker, Rector of Hargrave, co. Northampton. The truly Christian virtues of this estimable lady shone brighter and brighter to her dying hour. She was buried on the 21st at Kensall Green, in the tomb of her late sister, Mrs. J. B. Nichols. The Nichols family was well known in the publishing world and their entry occurs in the Dictionary of National Biography and an archive devoted to the Nichols family can be found here. MORE ON WILLIAM BAKER, JOHN MAN’S BROTHER IN LAW. William Baker, a learned printer, son of Mr. William Baker; a man of amiable character and manners, of great classical and mathematical learning, and more than 40 years master of an academy in Reading, was born in the year 1742. He was from his infancy of a very grave turn; seldom joining in the usual sports of his school-fellows, but spending the hours allotted to amusement, as well as the vacations, in his father’s library. His application was such, as greatly top injure his health, and endanger his life. The progress which he had made determined his. father to educate him for holy orders, to which his own inclinations led him, especially as they were flattered by a dignitary of the church; but the friendship of this great man ended in disappointment. He was then put apprentice to Mr. Kippax; printer, in Cullum street, London; a business which, as it had a connexion with literature, seemed to meet his approbation. In his new way of life, the fame indefatigable industry was pursued in the attainment of learning; and this was -frequently his employment, while others were asleep. He used, while an apprentice, to- work over-hours, for which he was allowed certain perquisites, which he applied in the purchase of the best editions of the classics; which collection, at his death, was very choice, and was purchased by Dr. Lettfom. Before he had attained his twenty-sixth year, his great exertions had again so undermined his health, that a very eminent physician and friend gave very little hopes of his restoration. His life was most severely threatened ; but, by the aid of country air and medicine, he once more recovered. On the death of Mr. Kippax, he. took up his business, which he carried on till his death, first in Cullum street, and afterwards in Ingram-court, in partnership with Mr. Galiban, who was many years in the common council of Langbourn-ward, and is now principal bridgemaster of the city of London. Amongst his acquaintance were some of the first eminence in letters, Dr. Oliver Goldfsmith, Dr. Edmund Barker, the rev. James Merrick, Mr. Robert Robinson, the rev. Hugh Farmer, the rev. 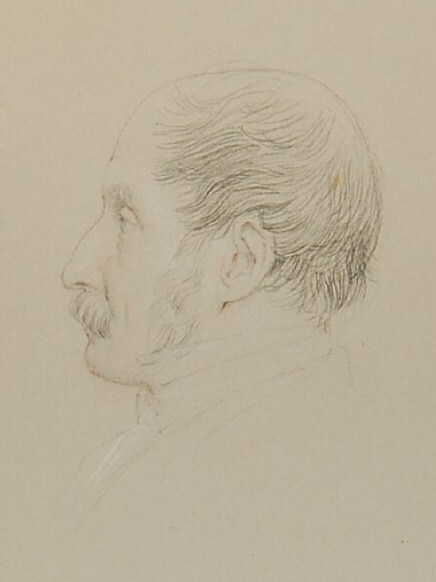 Caefar DeMiffy, James Elphinilon, esq. and many others. An elegant correspondence in Latin between him and Mr. Robinson*, and some letters of enquiry into difficulties in the Greek language, which Hill exist, are proofs of his great erudition, and the opinion entertained of him by some of the first scholars. Such was his modesty, that many among his old and most familiar acquaintance were ignorant of his learning ; and, even where it was the topic of discussion, his opinion could never be known without an absolute appeal to his judgment. There are but two little works known to be his; ‘Peregrinations of the Mind through the most general and interesting Subjects which are usually agitated in Life, by the Rationalist’ in anno 1770, in essays after the manner of the Rambler. “Thesae Grecae et Latinae selectae” 8vo. in 1780, a Selection from the Greek and Latin writers. He left behind him some manuscript remarks, intended to point out the abuse of grammatical propriety in the English language in common conversation, even among reputable writers, and among people of the first rank in education and manners. He had a good talent for poetry, and wrote several detached poems, published in Magazines; as well as a very correct taste in compositions for the pulpit; and he actually composed several excellent sermons for some of his clerical friends. Of the Greek, Latin, French, and Italian languages, he was completely and critically master; of the Hebrew he had some knowledge; and to his own he had paid much judicious attention. After great exertion in walking, about Christmas, 1784, he felt a violent pain in his side, which he did not complain of till assistance probably came, too late. After the most excruciating sufferings, for near nine months, which he bore with uncommon fortitude and patience, he finished his life on the 29th of September, 1785, in the forty-fourth year of his age. He was interred in the vault of St. Dionis’ Backchurch, the parish in which he had resided ever since his first arrival in London; and the following Latin epitaph to his memory is placed on the tomb of his family, in the churchyard of St. Mary, Reading. E filiis, Johannes, hoc marmor. The following poem is by William Baker whose sister, Sarah Baker, married John Man of Reading on 5 June 1775.
Who died on Saturday, September 19, 1772. Animula vagula, blandula ! ADRIANI Imp. Solil. The plains; when, lo! MYRTILLUS, lovely boy! View scenes remote, and penetrate the mind. And in these words th’ assembled host bespoke. “By Fate deny’d to Frailty’s sons below. Each clapp’d his wings and tun’d his golden lyre. When Death was sent, the babe to call away. Who, sweetly slumb’ring, in his cradle lay. His weapon flew, but miss’d the vital part. The cherub soar’d on high, the infant died! Stat sua cuique dies — breve et irrepariabile tempus! Virg. Aen. X. Someone has written next to W.B. ‘Wm. Baker the learned printer‘ then four words that I cannot make out the second of which may be of.